Very good documentary. I had heard about this phenomnon. But I actually thought it was something that happened recently. 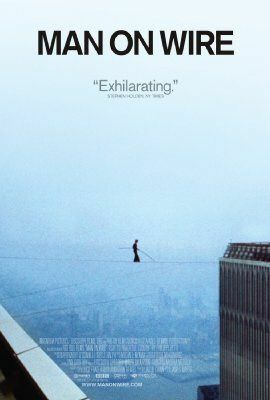 Well the movie gives a very good description of how Philippe Petit in 1974 sneaked into the twin towers and put a wire between them and then wlaked between the to towers for 45 minutes. 8 of 10 for moving experience in best documentary style.